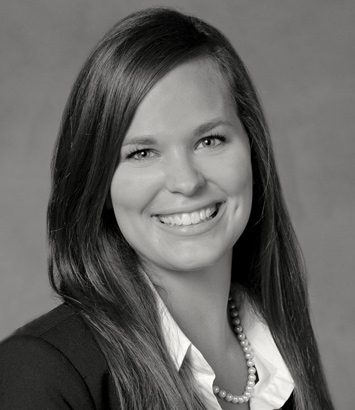 Ashley Earle is an intellectual property lawyer located in Dinsmore's Cincinnati office. Ashley practices trademark procurement/management and copyright law. She counsels clients on a wide range of intellectual property protection, including trademarks (domestic and international), copyrights, branding, social media, advertising, and patent procurement (utility and design). She has a thorough understanding of intellectual property law, including protecting her clients’ innovations and creating, securing, and enforcing their brand, both domestically and abroad. She is admitted to practice before the United States Patent and Trademark Office as a registered patent attorney and has a B.S. in chemistry. Ashley currently serves as the outreach officer for CincyIP, an organization of intellectual property professionals from around the region. She is also a member of the steering committee for CincyBrand, a highly successful conference for legal practitioners, marketers and business owners on the subject of branding and licensing.